The Easy Grip Hyper Flex Water Spot Sanding Block is an easy to hold sanding system with a pliable gray side for self-adhesive sanding sheets. This sanding block easily bends and flexes to adapt to changing surfaces and gradients to deliver superior, even results. 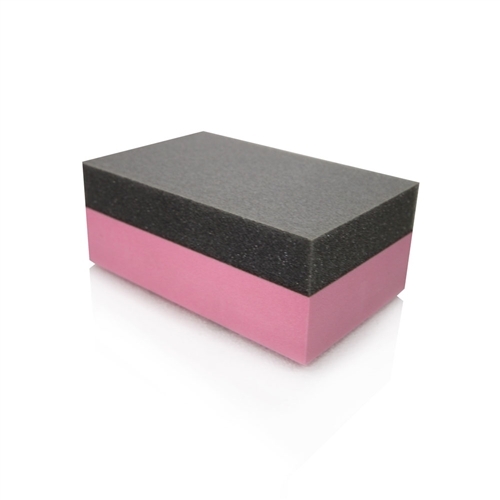 This sanding block is great for removing scratches, restoring headlights and removing water spots. The unique wet sanding and polishing system combines an ultra-flexible permeable latex membrane that enables sanding sheets to adhere to it using a flexible self-adhesive peel and stick system.